Bloomsbury USA Childrens, 9781619636224, 240pp. 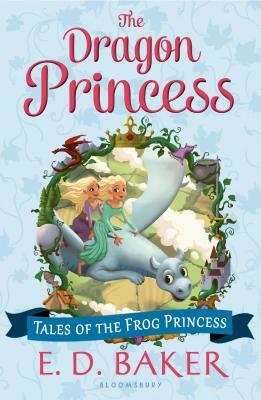 With E. D. Baker's trademark humor, wacky animal and human characters, and almost all-new cast, this is the story of Emma's daughter, Millie, who is trying to survive being a magical princess who happens to keep turning into a dragon. When she cannot stop her own magic any other way, she and three friends (one vampire, one troll and her cousin, a young wizard prince) set off for the Frozen North and the Blue Witch. Together the motley group battles fearsome bears, saves imprisoned dragons, and find their way home in style, with Millie having gained control of her dragon magic.